The Samsung Galaxy Win was announced last week as a China exclusive, but today the company announced it's going to be making the mid-ranger available globally. The smartphone runs Android 4.1 Jelly Bean on a 1.2GHz quad-core CPU, packs a 4.7” TFT screen of WVGA resolution (199ppi pixel density). It has a 5MP camera that shoots D1 video, a 0.3MP front-facing camera and a microSD card slot. The battery has 2,000mAh capacity. Available in two color variants - Ceramic White and Titan Gray - the Galaxy Win will be hitting multiple markets in single-SIM and dual-SIM versions. 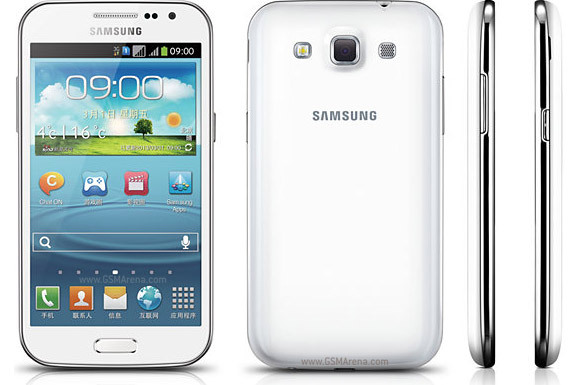 Pricing and availability, however, are still undisclosed by Samsung. Looking very nice and confugration,, but price how much it's this product. Can anyone pls tell me when this gr8 phone will be released...? Plzzz...... I would really like to know.....!.